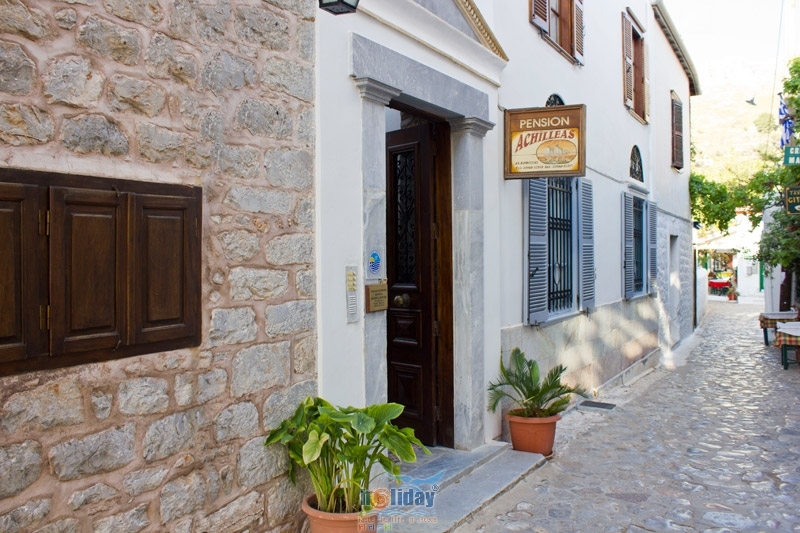 Pension Achilleas is located to the center of Hydra island, to a very quiet location and its only 3 minutes away from the picturesque port of Hydra. 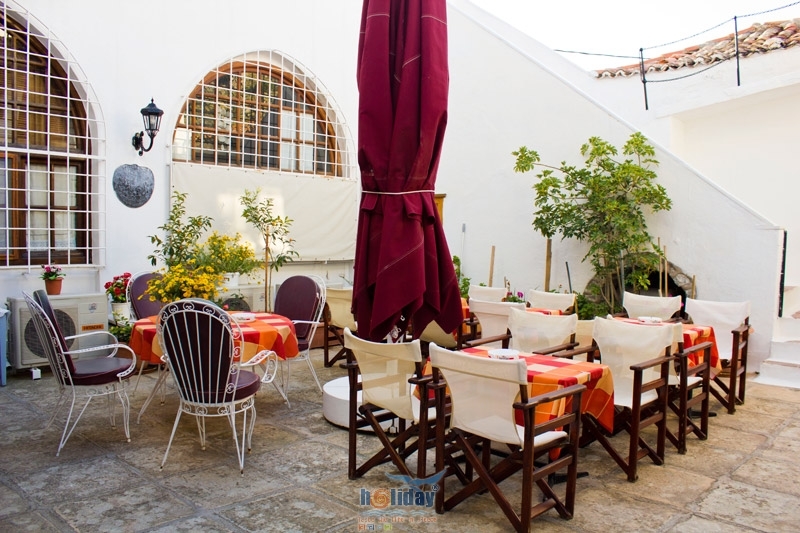 The building is and old, renovated mansion that offer a quiet atmosphere and familiar hospitality. 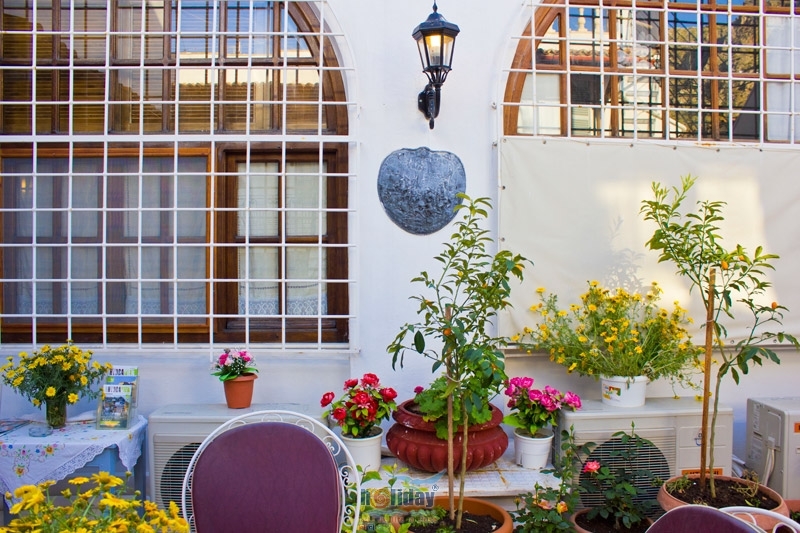 It has got a very beautiful yard with flowers for you to drink your coffee and have your breakfast. 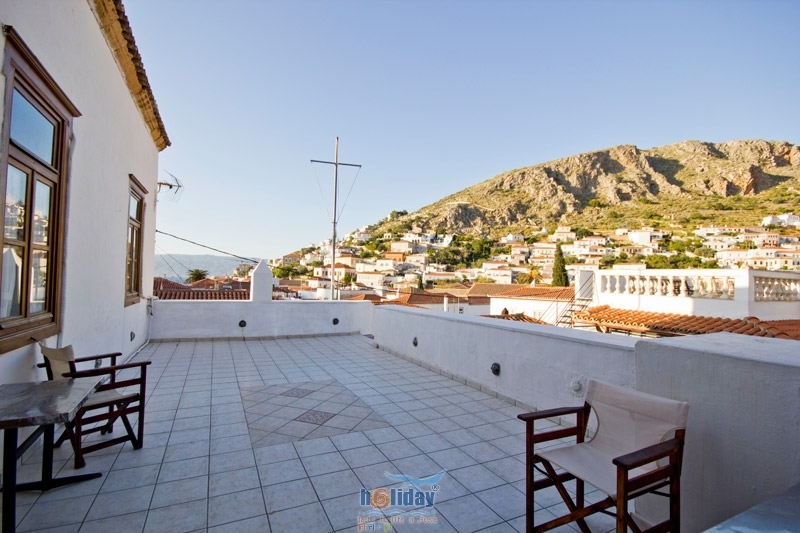 The view of the port is amazing from the top roof of the pension. 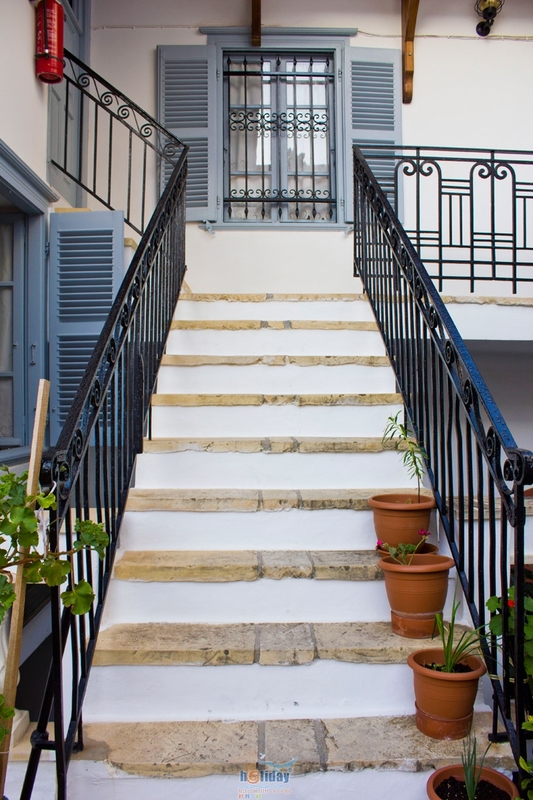 Pension Achilleas consists of 8 double rooms, 2 triple rooms and 2 apartments. 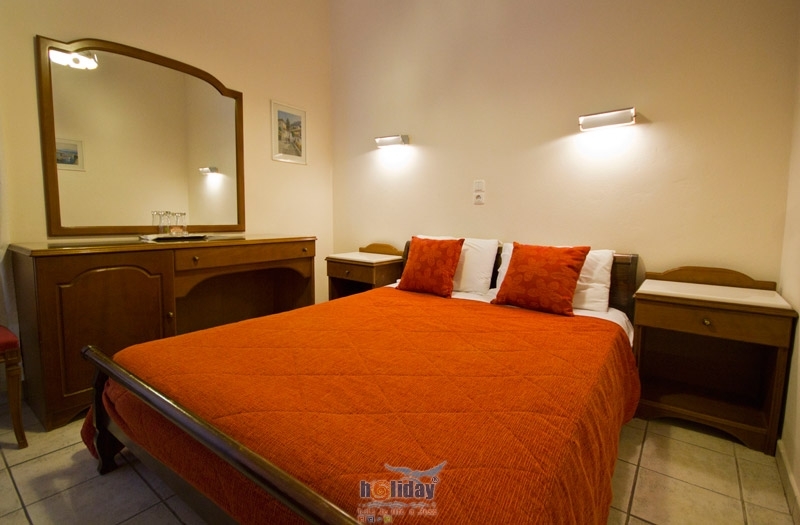 All rooms are fully equipped with television, air condition, fridge and shower. 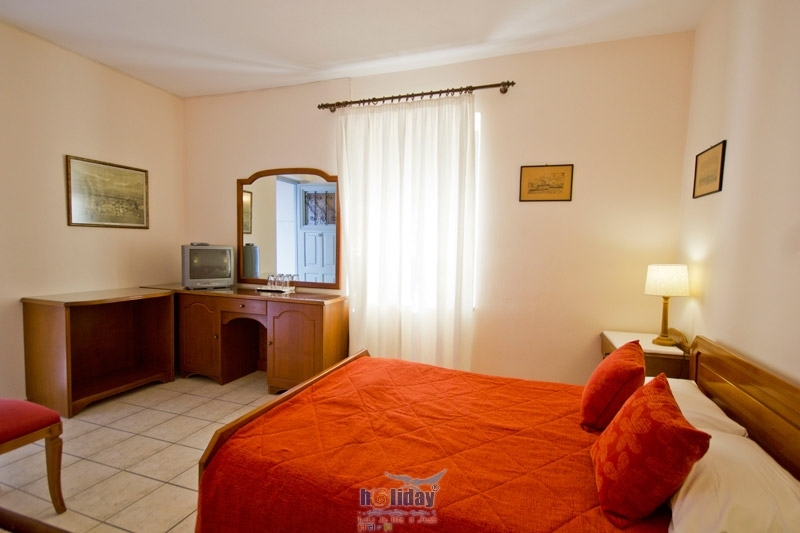 All the rooms communicate with an esoteric yard with flowers. To the roof top of the pension there are tables and comfy chairs, where you can enjoy the view and the marvelous sunset. 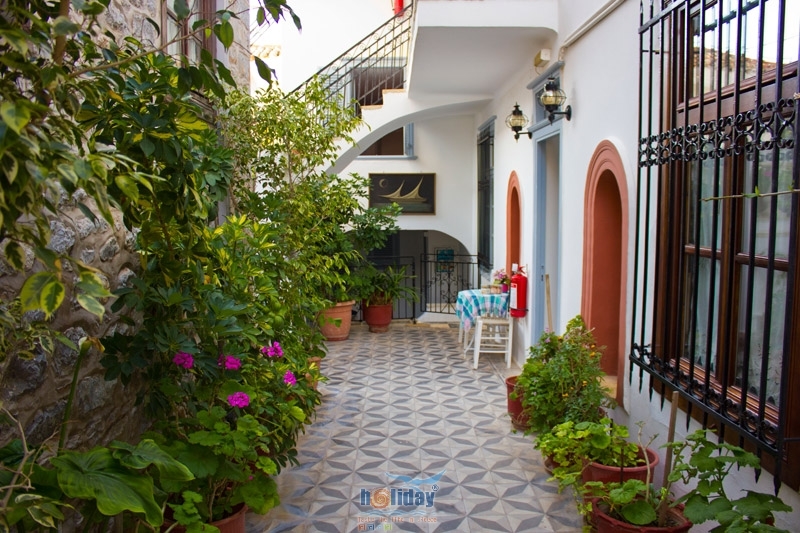 Pension Achilleas is only 3 nimutes away from the cosmopolitan beach of Hydra island and is located near supermarket, minimarket and convenience stores.